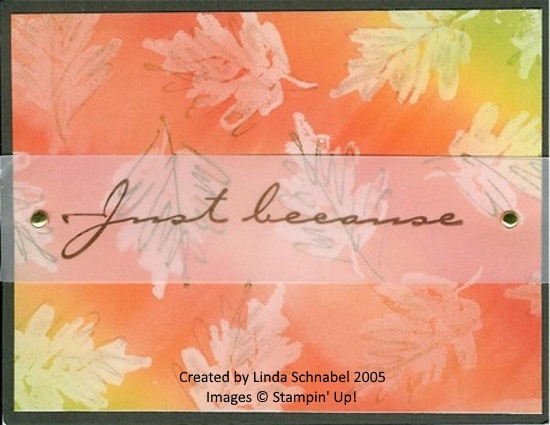 Today I’m going to share two cards that I created in 2005 – 13 years ago… Wow! I actually believe that this was done with a brayer and a multi-colored ink pad. This is a great technique that is simple to make but gives you a “wow” factor! I’m not even sure what stamp set this was but if I remember correctly … it was a triple stamp! Which stamp set do you think I will use to update this card? 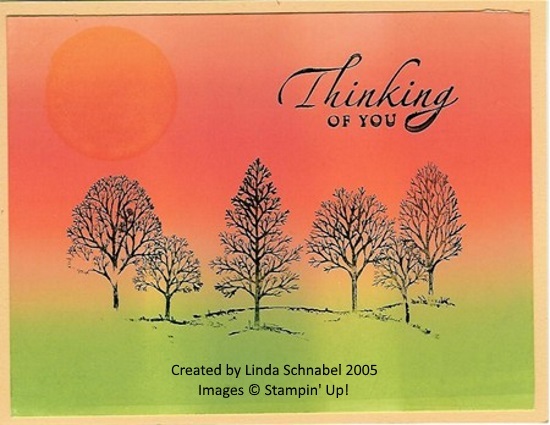 Let’s have some fun and recreate these cards with our current supplies. I will share these with you tomorrow!! So … stop back tomorrow and I will go through each of these cards, but updated. It’s going to be like “flipping” my cards! Make sure you’re here for the reveal.